WASHINGTON—When it comes to the looming showdown case at the U.S. Supreme Court, the nation’s top four state and local government workers unions are campaigning for the best – and preparing for the worst. That’s because the lineup of justices on the High Court – 5-4 GOP-named – makes it probable, if not likely, that every single state and local government worker in the country could be a potential “free rider” after the tribunal issues its decision in Janus v AFSCME District Council 31. The leaders of the four unions are confident they’ll triumph in the controversial case, which started in Illinois. The court hears oral arguments on it on Feb. 26. But to show the justices where the public is, Randi Weingarten of the American Federation of Teachers, Lily Eskelsen-Garcia of the National Education Association, Mary Kay Henry of the Service Employees and Lee Saunders of AFSCME also said backers will mobilize for a Nationwide Day of Action on the issue two days before, on Sunday, Feb. 24. And, under questioning at a Feb. 7 press conference, they described the nuts and bolts of internal organizing they’re undertaking in case they lose. There’s a high probability of that: The court tied 4-4 on a virtually identical case two years ago, and new Justice Neil Gorsuch, named by GOP President Donald Trump, has been extremely anti-worker in his rulings in lower courts. The Right to Work crowd – which unions call the “right to work for less” committee – recruited and paid for attorneys to represent dissident Illinois public worker Mark Janus and two other colleagues challenging a 42-year-old decision letting public worker unions collect “agency fees” from non-members they represent, covering just the costs of bargaining and enforcing contracts. Public worker unions in RTW states can’t collect those fees. A ruling for Janus would make every one of the nation’s state and local government workers a “free rider” who could use union services but not have to pay for them. That could cost unions millions of dollars and thousands of members, and lose workers the protection and benefits unions obtain. Janus’s right-wing backers contend everything unions do is “political,” and thus forcing Janus and every other worker to pay agency fees – much less union dues – violates the workers’ 1st Amendment free speech rights. “They’ve grown so used to getting their way, they haven’t presented any real arguments” to the justices for their stand, Saunders said of the right-wing and the three workers it recruited. “This is an intentional attack on strong unions,” added NEA’s Eskelsen-Garcia, whose unaffiliated union, with more than 3 million members, is the nation’s largest. Even before she joined, NEA “was my ticket to the middle class” by fighting for the student aid she needed to go to college, she added. It was the same story for millions of other people, Eskelsen-Garcia said. “The greatest impact was for women and people of color,” Eskelsen-Garcia, a Salt Lake City teacher, said. “African-Americans earn 15 percent more” if they’re unionized than if they’re not, in comparable jobs. “And Latinos” like herself “earn 22 percent more.” And NEA also gave Utah teachers the strength to successfully demand better facilities, more nurses and counselors and other aid for their students. The right-wing groups “have made it their business to dismantle” unions, workers and their protections for the last 40 years, SEIU’s Henry said. “It’s unthinkable the extreme billionaires behind” Janus “want us to have fewer resources,” added Peter MacKinnon, president of SEIU public service workers Local 509 in Marlboro, Mass., one of several rank-and-file unionists who also spoke. But while the union leaders talked about the benefits of unions to workers and the public, they also had to discuss what they’re doing if they lose at the court. SEIU, Henry said, is “going to double down” on organizing new workers, particularly through the “Fight for $15 and a union” movement, which it strongly backs. “It’s unacceptable to have 64 million people working more than 80 hours a week and they still can’t make ends meet.” And in events on Feb. 12, SEIU will link “structural racism” to the anti-union campaign. 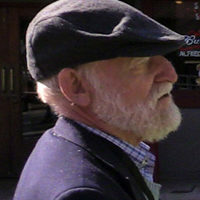 Saunders said AFSCME saw the threat coming three years ago and started extensive one-on-one conversations with members. It’s already reached more than 700,000 of its 1.4 million unionists. AFT is “also focusing resources on internal organizing,” she added. But members are “woke” to a “which side are you on?” moment, she added. She also tells them what happened to individual workers when right-wing Gov. Scott Walker, R-Wis., and the state legislature made most state and local unions RTW sites. “In one of my locals, they (members) had to pay $5,000 more each for health care benefits and $5,000 more for pension benefits. 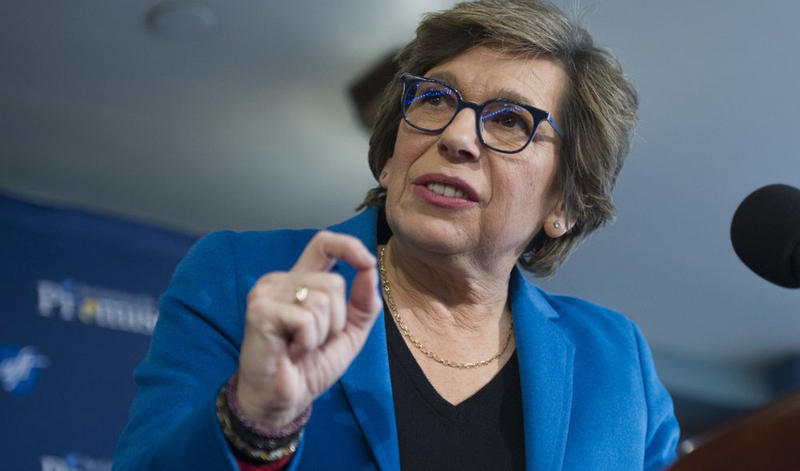 So when we talk with our members (nationwide), people get it.” So much so that AFT gained 100,000 members last year, to 1.7 million, Weingarten added. There’s also one more move unionists are doing, Henry adds: Jumping even more into politics. “Each one of our locals is seeing more of our members signing up for voluntary political donations and actions. That gives us a shot at countering the attack by the billionaires,” she said.